Volkswagen could be considering selling Ducati in the wake of its very screwed up and very expensive Dieselgate scandal. The news comes via Reuters, which cites two unnamed sources familiar with the situation. It reports that if VW does sell Ducati, it would be to help “fund a strategic overhaul” following the scandal. Specifically, a multi-billion Euro shift in investments in electric cars and mobility services. 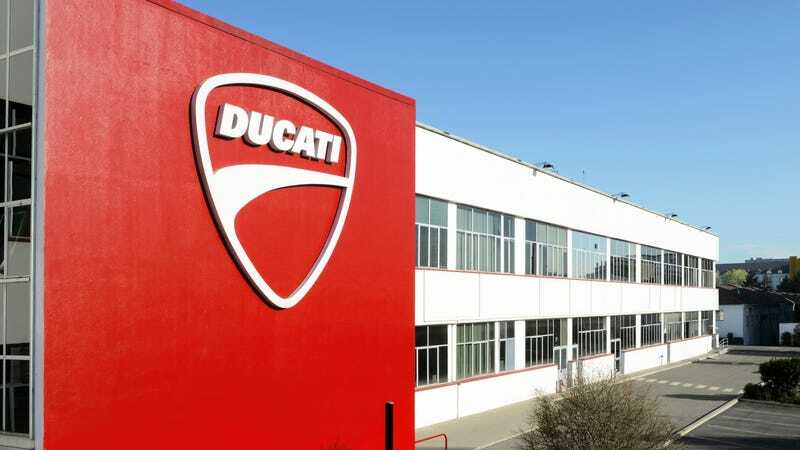 One of the sources said that before interest, taxes, depreciation and amortization, Ducati makes about €100 million (approximately $109 million) annually and that selling it could rake in up to €1.5 billion (approximately $1.6 billion). When Audi bought Ducati back in 2012 for $1.12 billion, the question on everyone’s mind was why. It wasn’t because VW wanted to compete with BMW motorcycles. It could have been because VW had its eye on Ducati’s small engine technology, though we’ve seen no evidence of that in the five years of ownership. Nor was it because of potential racing sponsorships or marketing campaigns, as we haven’t witnessed anything on that front, either. No, it was because Ferdinand Piëch, the then-supreme leader of Volkswagen Group, viewed the acquisition as a bit of a trophy. We reported that after passing up a chance to buy Ducati in 1985, he never let go of wanting to own a motorcycle manufacturer. At the time, an analyst also told Reuters that the purchase was motivated by Volkswagen’s (Piëch’s) “passion for nameplates” that didn’t always make the most financial sense. And it totally fits, too. Piëch’s legacy at VW includes the Porsche 917 Le Mans race car, the rise of Audi Quattro, saving Lamborghini from crashing and burning, launching the insane Volkswagen Phaeton and basically fathering the Bugatti Veyron, to name a few. After news broke of VW’s diesel cheating, some very messy internal drama ensued and basically led to Piëch resigning. He has since sold his remaining stake in Porsche SE and seems to be done and out for good. It’s no coincidence that VW is rumored to be selling off one of Piëch’s pet acquisitions after this. It also makes us wonder what else is going to be axed in the coming years.